(Lithia, FL – February 16, 2016) – CONCEPT Professional Training, a global leader in online professional training in forensic mental health, announced today that it will host a 90 minute live webinar titled “Structured Professional Judgment”, on Wednesday, February 24th from 1:00pm – 2:30pm EST. This webinar will offer expert advice from Dr. Kelly Watt. Dr. Watt is one of the leading experts in the forensic field that focuses on risk assessment, threat assessment, and workplace violence. This Live webinar is intended for professionals that want to enhance their understanding in threat assessment and risk management, including those working in criminal justice, security, health care, social service, education, and human resources settings. 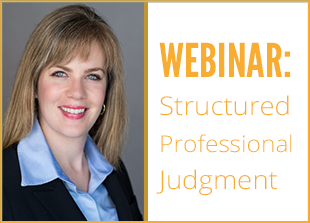 For more information on the Structured Professional judgment Webinar, visit here.